Have you owned this device yet? Cause its brilliant in both cases; software and hardware. Galaxy Nexus was first showcased during the year 2011 and was released in the same duration. 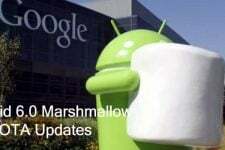 It was the first device supporting the latest Android version Ice Cream Sandwich 4.0+ with the hardware configuration of a lifetime viz Dual-core 1.2 GHz Cortex-A9 processor, 1GB RAM, PowerVR SGX540 GPU and a pretty decent 16 GB Internal storage. But this is not yet enough for people in the Custom Android world and to lurk out the most of this device, we certainly need to go far from its limits which could be only done by going custom. By going custom, we mean to Root, Install a Custom Recovery and a Custom ROM. We have already guided the users to go custom on the GSM variant of Galaxy Nexus I9250. So why should be the carrier variants left alone, today we’re here to accomplish the same for both, the Sprint Galaxy Nexus (toroplus) and Verizon Galaxy Nexus (toro). Rooting: Rooting is a process that allows any Android smartphone/ tablet user to gain root privileges over the android subsystem. Rooting not only helps in removing carrier limitations but also serves a purpose to change, remove or install operating system. ClockworkMod (CWM): A linux/ unix operating system employs a recovery and since Android being based on linux also has recovery. Clockworkmod is a secondary recovery system created by Koush, which adds enormous features like wiping partitions, flashing flash able .zip files like ROMs, kernels, patches etc to the stock device recovery. Custom ROMs: These are the aftermarket Android firmware which are not official supported by the device manufacturer. 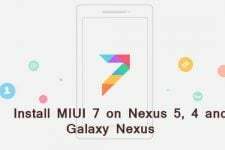 They are made available to the world by Android developers around several Android Communities including XDA-Developers, RootzWiki etc. Custom ROMs are either built from Google’s source code i.e AOSP (Android Open Source Project) or are modified versions of the device manufacturer’s ROM (Stock ROMs or Factory ROMs) with additional tweaks and extended functions which are not delivered with the Stock ROMs. Some of the popular Custom ROMs include CyanogenMod (CM), Android Open Kang Project (AOKP), MIUI, ParanoidAndroid, Xylon and many more. Extract the download GN-Sprint.zip to the desktop, so now you have GN-Sprint folder containing all the necessary files for a Sprint Galaxy Nexus user. Extract the download GN-Verizon.zip to the desktop, so now you have GN-Verizon folder containing all the necessary files for a Verizon Galaxy Nexus user. Now, if you have cross checked that you’ve all the prerequisites, then you may proceed further. In case, you’re stuck somewhere while setting up/performing any of the above mentioned points, feel free and comment down. 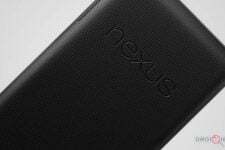 Unlocking your device’s bootloader is a very short and easy part, which is same for all the Nexus devices. So, no matter if you’ve Verizon or Sprint Gnex, the same procedure is withheld. Make sure you have your storage and everything backed up b’cause this process will erase every bit of it. Connect the device to the PC via USB data cable. Open the GN-Sprint/GN-Verizon folder, which you can find on your desktop (or another location, where you’ve extracted it). Press the SHIFT key and RIGHT CLICK, anywhere on an empty space inside the respective folder. A new menu shall pop-up. Select Open Command Prompt Here. It will open a new CMD window which is already cd’ed to the location of your files. Your device will boot itself right away to the bootloader mode, look at the image below for reference on how the Bootloader screen looks. As soon as you type in the mentioned command, your device’s screen shall show a new message, which looks just like the below image. Now, if you’re are very sure of what you are doing and you want to unlock, use the volume keys to highlight Yes and select it using the power button. You have successfully unlocked your bootloader! The process merely takes a minute and your device will reboot itself. So, now you have your device ready for further enhancements. During the last step, your device reboots. But if in any case, you have mistakenly pulled the battery, don’t worry. Just put it back and restart the device via the power button. Note: Make sure not to close the CMD window yet, cause we will need the same for further processes too. In any case you do exit it, follow step #2, 3 & 4 again and then only proceed further to install the custom recovery. In order to flash custom Images and zips, a Custom Recovery is essential. ClockworkMod and TWRP are two such well-known and most frequently used custom recoveries. Lets hit a few simple command-line steps and install one of these. Now once, you have flashed your custom recovery successfully, you can boot into it from the very same bootloader mode. Just use the volume keys until you see Recovery Mode and then press the power button to enter into the recovery mode. Android has evolved a lot since its beginning and so has its impact on the custom world too. Earlier in order to flash a Custom ROM/Kernel, most devices required root permissions. But now, once you have flashed a Custom Recovery, you shall either choose to Root your stock ROM, in order to use Apps or a few MODs or, you can simply install a Custom ROM which not only is pre-rooted but also ensures to provide hundreds of customization features. So, if you are willing to use stock ROM, then you might follow this section. Otherwise, follow up the below section to flash a Custom ROM on your Galaxy Nexus. Connect your Galaxy Nexus to the PC via USB data cable & enable mass storage mode. Copy the downloaded zip to your storage. Go to “Install zip from sdcard”, select “choose zip from sdcard”. Now choose the zip file that you placed in the SD card. It will notify when the flashing process is complete. Now we have our Galaxy Nexus fully unlocked and rooted. Plus we have also configured the utility to install (flash) custom ROMs i.e the ClockworkMod Recovery. I will now begin to instruct you with the easy steps to install a Custom ROM to your Galaxy Nexus I9250 (GSM). The first step of all is to choose a custom ROM which meets all your requirements and fulfill your desires for custom features. You can find all the available Custom ROMs for your Verizon/Sprint Galaxy Nexus here at XDA-Developers forum. Once you find the ROM that suits you the best, step 2 is what you should follow. Download the ROM file which is flash-able file with .zip extension and save it in a secure location on your PC. Connect your Galaxy Nexus to the PC via USB data cable & enable mass storage. Copy and paste the download flash able zip files to your device’s storage. Boot into CWM Recovery by pressing volume up + volume down + power buttons simultaneously until you see the blue recovery text. Go to “Mounts and Storage” and wipe /system. Go to “advanced” and wipe dalvik cache. Go to “Install zip from sdcard”, select “choose zip from sdcard” and choose the ROM zip file. Choose to flash and wait for a while. When it has done flashing, it will notify automatically. In case it takes time, do not pull out the battery. Have patience because everything is going just the way it is meant to, until you follow the steps exactly. You shall now flash the Gapps the same way you flashed the ROM file. If you have any ROM add-on provided by the ROM developer, they are to be flashed in exactly the same way as the ROM and Gapps. Select “Reboot system now” when all the flashing has been done. Done! Now you shall sit back and give some time for your new Custom ROM to boot and enjoy the irresistible features that it offers. We’re sure that you discovered that how in a matter of minutes you can easily go custom by using this guide. In case you are stuck any where in the process of perform any one of these, feel free to comment and we shall give the best try to help you out.